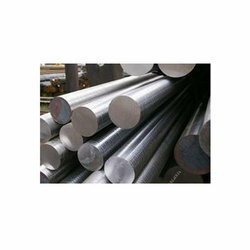 We are renowned exporters and wholesaler of supreme quality Stainless Steel Round Bars. 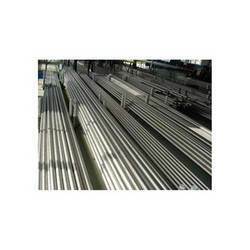 These products are available in a variety of length and diameters. Our range is manufactured using high grade raw materials and also offers them in different sizes and specifications as per the clients requirements. 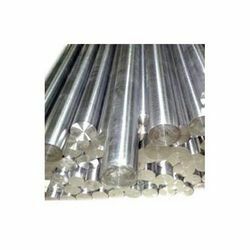 Our expertise allows us to offer supreme quality Nickel Alloy Round Bars to our valued customers. The products are manufactured using high quality materials that are sourced from certified vendors. We offer the entire range in Grades UNS 2200 (NICKEL 200) / UNS 2201 (NICKEL 201) and Standard ASTM / ASME SB 160. Being a client centric organization we present an exclusive array of Monel Round Bars. They are broadly acclaimed for its corrosion resistant and durability. These products are available in different thickness, dimensions and lengths. In addition to this, the expert team members meet the specific demands of our clients timely. The expert team of our company offers high quality Hastelloy Round Bars to our customers. Our range is broadly known for its stress corrosion cracking, general corrosion, pitting, crevice corrosion and intergranular attack. The quality controllers of our team check the entire range on various required parameters and ensure their accordance with the international quality standards. We hold the expertise on offering premium quality Alloy 20 Round Bars to our esteemed clients. These products are manufactured using high grade raw materials that are procured from certified vendors. Our products are tested on various required parameters and are ensured for its accordance with the international quality standards. 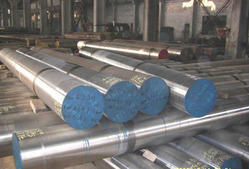 We are reputed exporters and wholesalers of supreme quality Duplex Steel Round Bars. Our range is available in different sizes and specifications as per the clients requirements. The products are manufactured using high grade raw materials and present them in diverse length parameters and diameters. 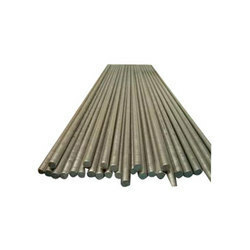 The expert team of our company offers a qualitative range of Cupro Nickel Round Bars. Our range finds its application in various industries and is appreciated for its quality and durability. The dedicated and committed professionals of our team offer them in different dimensions, patterns and shapes. 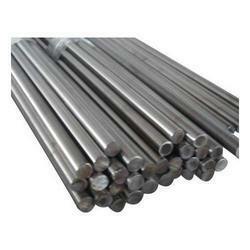 We hold the expertise offering supreme quality Titanium Round Bars to our valued customers. These products are reckoned for stress corrosion cracking, corrosion, pitting, crevice corrosion and intergranular attack. They are available in different specifications like Grades GR 1, GR -2, GR-3, GR-4, GR-5 and Standard GB / T 2965-1996 and ASTM B-348, ASTM F 136. Various grade of forged round bars are from bottom poured forging quality ingots. As high quality ingots is a input material for steam hammer. 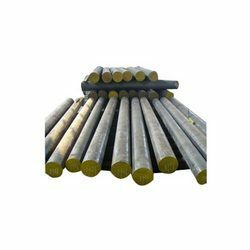 Quality forged round bars result into higher quality of forged round bar by proper monitoring controlled of temperature during and after forging together with sufficient enough reduction ratio. This ensure proper micro structure and internal soundness of forged round bars. They are then heat treated like solution annealing oil hardening and temperature soft annealing normalizing as applicable to achieve desired physical and mechanical properties forged round bar can be proof machine up to + / - 0. 5 mm tolerance. Unfurling an exotic range of forged round bar, which comes in various thickness and dimensions to meet with various industrial usages. Popular for finest quality and superior polish, these forged round bar are developed to the height of excellence to be in sync with set industrial norms. We hitesh steel manufacture these bar using hi-tech machineries, which lend these forged round bar unique features and make them craze for a lot of prestigious industries. duplex & super duplex : astm / asme sa 240 uns no. S 31803 , s 32205 , s 32550 , s 32750 , s 32760.